Great review, Shrey. Couldn’t get tickets for the film over the weekend. Can you believe it? But, intend to watch it soon and return with a comment. Have been hearing a lot about KJo’s shorts. Let’s me see how he has done. Have never been a fan of his film thus far. Thanks Hari. The auditorium where I saw the film was also full but I guess it’s only in the multiplexes in metros. And it is a film that will do better with a more evolved and open audience. Watch and let me know what you think. Oho! Wait for the dvd then. I watched Bombay talikes. it’s a average movie. By the way nice review. I have been surfing online much more than 3 hours lately, however I never discovered any fascinating article like yours. It’s lovely worth sufficient for me. In my opinion, if all site owners and bloggers produced just correct content material material as you probably did, the net will most likely be a lot more useful than ever before. “When you are content material to become merely yourself and don’t compare or compete, everybody will respect you.” by Lao Tzu. 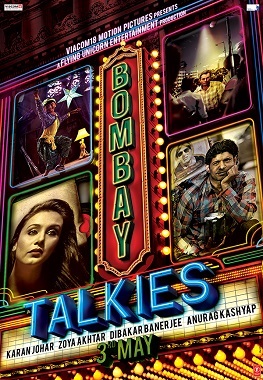 Movie Bombay Talkies is a wonderful tribute to Bollywood which already completed his 100 years of excellence. In this movie many superstars from Hindi cinema made cameos including the dancing queen Mahduri Dixit. Find old and new Indian movies online on http://www.indianmovies.pk.